Belgian brand Bullit have released the scrambler-styled learner legal Hero 125, which will be available in early 2017. The new Hero 125 is fuel injected and Euro4 compliant and features beefy looking upside down forks. The Hero comes with a two year warranty and an RRP of £2400. A £400 deposit will secure your new 2017 Hero. 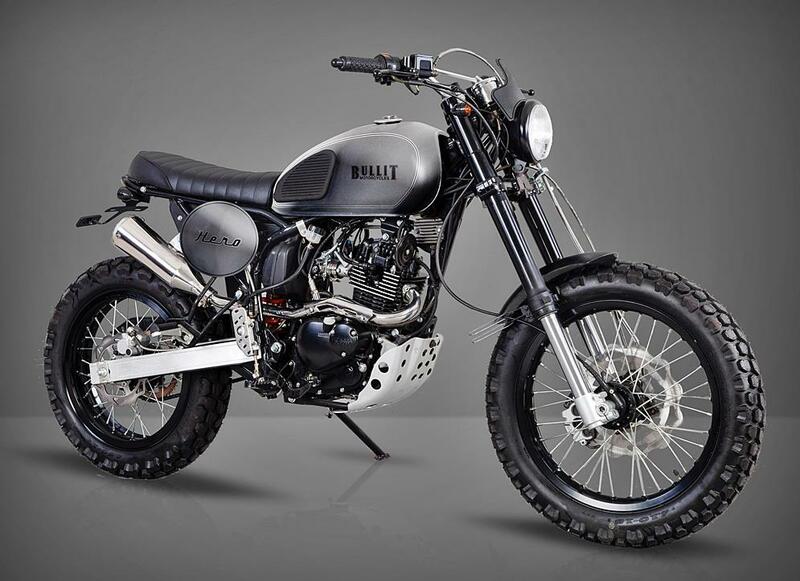 The Bullit will be going head-to-head with the Herald Classic 125 which was launched in 2012. The Herald is styled more like a cafe racer and comes on road tyres. Bullit will have a battle on their hands if they want to beat Herald - they Classic 125 costs just £1750. £650 less than the Hero.